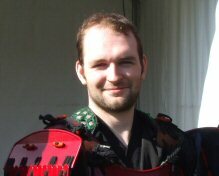 Paul "Batman" O'Brien, has been a martial artist since he was four. He began training in his local dojo in Shotokan Karate. Granted he was a kid and the class was little more than a glorified babysitting service, but it deeply impressed upon his young and impressionable mind that the martial arts were a lifetime commitment and something that greatly suited him. As a boy and a teenager he was quiet and studious and devoted greater amounts of time to a more mature study of Shotokan, moving to a new dojo and devoting himself to serious training. In 1996 he received a 6th Dan rank, and is reputed to be the youngest person to achieve this rank. In 1998, he felt it was time to explore other martial arts and thus develop a deeper knowledge and appreciation of Shotokan and the martial arts in general. In the years since he has trained in Aikido, Jujutsu, Bujinkan Budo Taijutsu and several more. However he became increasingly aware that the nature of these recent martial arts (gundai) was not satisfying the direction he sought, so he turned to Reality Based Martial Arts. He studied with the leaders and pioneers of these fields; men such as Jim Wagner (O'Brien is a qualified instructor of this style), Dennis Martin, Lee Morrison, Mick Coup, Tim Larkin and many more. (Reviews of EACH of these courses will be in the subscribers section shortly). After 5 years of continuous training in Reality Based Systems he found the answers he needed. "...in my martial journey, I’ve encountered other concepts through the martial arts. I loved the traditional arts, the discipline, the eastern philosophical concepts, the quest for precise control over the body with the mind. And now that I have my answers I find that I miss those aspects, the ability to make yourself better, to hold a mirror to yourself, to see the flaws and cut them away through intense dedicated training. So, after 5 years training exclusively in Reality Based combat systems I’ve gone back to traditional arts, not to learn how to defend myself, but to learn how to the best person I can be. And this I suspect will be a longer and harder quest. This is a quest for Hejioshin, inner peace and balance. I am trying to understand myself through movement, but what movement that was the question. I’ve gotten all I could from Karate, the same is true of Aikido, in fact having studied many of the martial arts I was lost to find one that I felt would suit this new goal. But I found one in Nick Johnston’s Iaido class in the Martial Arts academy..."
You can read the full article on O'Brien's introduction to Musō Jikiden Eishin-ryū - here. For many years O'Brien had been captivated by the samurai sword - it was the perfect metaphor for the martial arts - an object of beauty and terrifying violence. Something forged with repeated blows until it became the perfect expression of its intent. 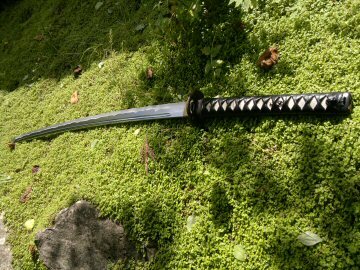 Having owned Samurai Swords since he was 18, though those early pieces were poor cheap knockoffs, he was delighted to have them and to now study and learn the art of Japanese Swordsmanship. 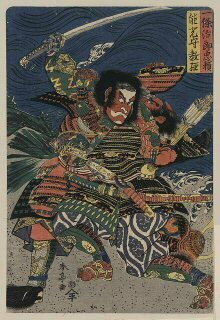 With his study of the koryū, and Musō Jikiden Eishin-ryū in particular, he was introduced to the fascinating depth of the samurai sword and for him the truest expression of Bushido, the way of the warrior. Since studying the sword art of Iai in earnest there has not been a single day O'Brien has not held a sword in hand and dedicated himself to the perfecting and practicing of the most captivating martial art he has experienced to date. 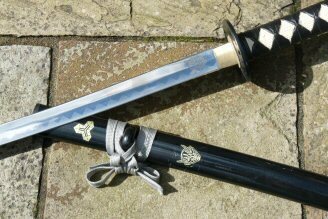 And with the study of Iai came the detailed study and appreciation of the Japanese sword itself. This is turn gave rise to his industry praised sword reviews. Today O'Brien has been consistently published in the martial arts world for over 7 years. He has a regular column and numerous feature articles in Irish Fighter magazine (the largest selling martial arts publication in Ireland). He has lectured on the Samurai, their history, culture, armour and weapons in Dublin City University, on behalf of University College Dublin and as part of National Events such as the Experience Japan Day held on the Farmleigh Estate. 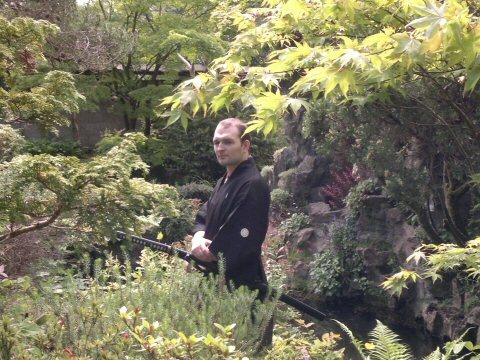 Presently he is the President of the Iaido Association of Ireland, its former Secretary and is regarded as one of the foremost experts in Samurai History and Culture in Ireland. (See this review of his Farmleigh lecture here). 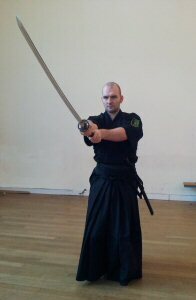 As a member of the Kenseikai Dojo he has had the privilege of performing Iaido and displays of Samurai Swordsmanship for the Lord Mayor of Dublin, as part of national festivals (in front of 18,000 people in April 2012), and at international events such as the Budo Event in the University of Cambridge, Buxton, England. 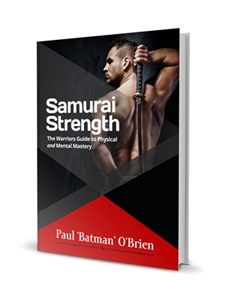 Outside of his enthusiasm for the martial arts, Paul 'Batman' O'Brien is a successful author, personal trainer, acupuncturist and herbalist, with a successful private medical practice in Dublin. He has written over 14 books on health and fitness, including the groundbreaking "7 Seconds to A Perfect Body" and the revolutionary "Project Dragon". In addition he is the owner and writer of www.Isometric-Training.com, one of the Top 1% websites as ranked by Alexa and www.Meridian-Acupuncture-Clinic.com, the website for his Traditional Chinese Medical practice. 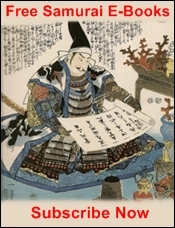 "...to provide a highly informative, detailed and accurate informational resource for those interested in the Samurai, the history and culture of these warriors and the fascinating, rich legacy left in their martial arts and embodied in the beauty of the samurai sword".